Let’s face it, the Christmas tree can look bare and (ahem) naked until those presents are piled underneath. Why not add a tree skirt? When adding a Christmas tree skirt under the tree, think outside the box. 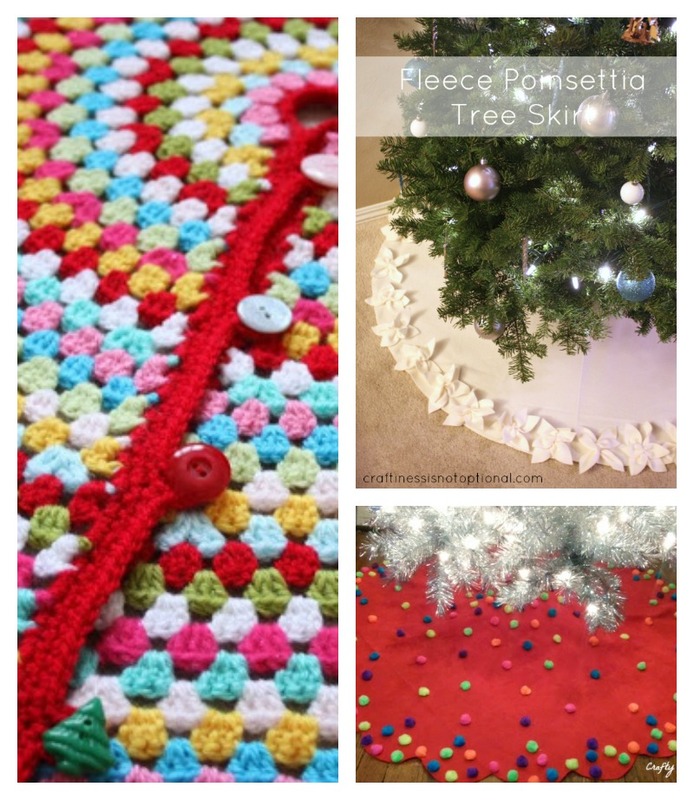 Your tree skirt doesn’t need to stick to the traditional red and green colorway. 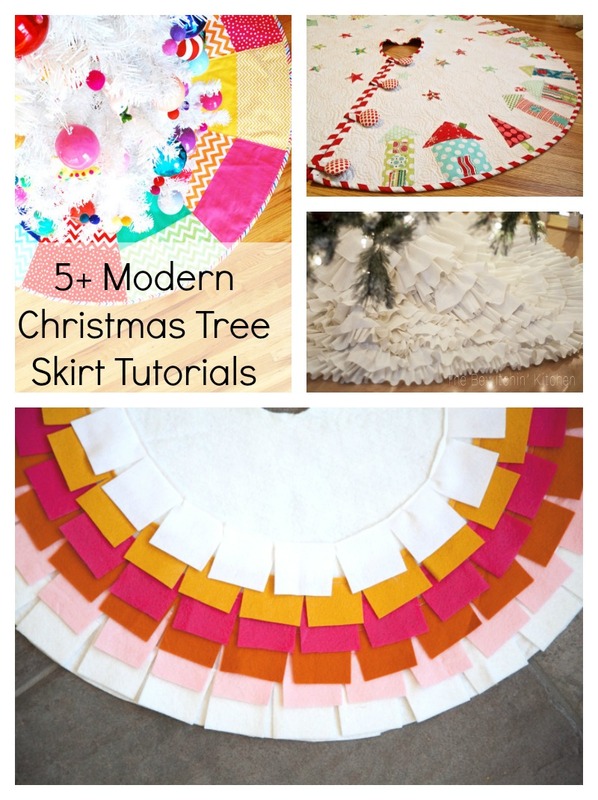 Sewing modern Christmas tree skirts will guarantee that, your tree will be the talk of the town! THE LINK FOR THE LITTLE HOUSES TREE SKIRT DOES NOT WORK. i’D LOVE TO MAKE THIS SKIRT BUT i’M NOT GOOD AT WINGING THINGS. aNY WAY TO FIND THE PATTERN AGAIN? tHANKS! Kris, the link on the TGIFF page is broken but it takes you to Fat Quarterly site where you can purchase individual issues. The little houses tree skirt, according to the blog post, was in the December 2010 issue. Hope that helps.